BLACK COLOUR. SET INCLUDES ;. Original Part Number :7018672991YZ. - Ending Soon. - New Arrivals. - Add to Favorites. Quick Links. Original Part Number: Opel / Vauxhall : 2345957 - G.M. : 90321122. Colour Is White. Set Includes;. Part Number: C27x10. - Add to Favorites. Quick Links. LAND ROVER DEFENDER 1987 UP TO 5A689036 RHS FRONT DOOR CASING LIGHT GREY. LAND ROVER DEFENDER 1987 UP TO 5A689036. PARTS COLOUR MAY VERY DUE TO MANUFACTURE PRODUCTION. PICTURES AND PART NUMBERS ARE FOR REFERENCE ONLY AND DO NOT IMPLY THE MANUFACTURER. 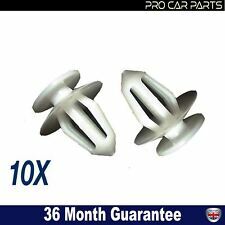 LAND ROVER DEFENDER 1987 UP TO 5A689036 RHS FRONT DOOR CASING LIGHT GREY. LAND ROVER DEFENDER 1987 UP TO 5A689036. colour may very due to manufacture production. We are happy to help you. PICTURES AND PART NUMBERS ARE FOR REFERENCE ONLY AND DO NOT IMPLY THE MANUFACTURER. Suzuki /Vauxhall / Opel /Citroen / Peugeot / VW / Land Rover / Ford. COLOUR IS BLACK. - Add to Favorites. Quick Links. Colour Is Black. Set Includes ;. Part Number : C143 X10. - Ending Soon. - New Arrivals. - Add to Favorites. Quick Links. Colour Is Black. Quick Links. Set Includes ;. Part Number : C494x10. Original Part Number : 90505-Sx0-003. New Arrivals. Part Number : C194 X10. Colour Is Black. Set Includes ;. Original Part Number : 893867290. - New Arrivals. - Add to Favorites. Quick Links. New Arrivals. Citroen Berlingo – C2 - C5 - C6. Peugeot Partner 106 - 306 - 406 - 407 – 607. Colour is white. Head : 18 mm. Hole size : 10 mm. Part Number : 14762. - New Arrivals. - Add to Favorites. Part Number : C169 X10. Colour Is Yellow. - Ending Soon. Quick Links. Set Includes ;. Original Part Number : 51131960127. Part Number : C204 X10. Colour Is Black. 10 Mm Hole Fits In To Body. Set Includes ;. Original Part Number : 3b0868243. Quick Links. Part Number : C566 X10. Original Part Number : Ford : W713610s300, Chevrolet : C11589289. Colour Is Black. Set Includes ;. - Add to Favorites. Quick Links. NISSAN – RENAULT. WHEEL ARCH COVER, BUMPER RETAINERS. Wheel Arch Cover, Bumper Retainers. COLOUR IS BLACK. Nissan: 01515-00QAB. SET INCLUDES ;. Original Part Number. Quick Links. Part Number : C112 X10. 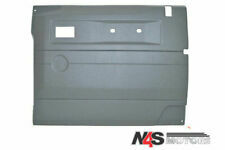 Original Part Number : Vw : 3b0867334, Land Rover : Mwc3136, Eyc101460. Land Rover. Colour Is White. Set Includes ;. - Add to Favorites. Quick Links. OPEL VAUXHALL. Part Number : C547x5. Original Part Number : 824767. - Ending Soon. - New Arrivals. - Add to Favorites. Set Includes ;. Quick Links. Colour Is Black. Set Includes ;. - Ending Soon. - New Arrivals. - Add to Favorites. Quick Links. Colour Is White. Set Includes ;. Part Number : C199x10. - Ending Soon. - New Arrivals. - Add to Favorites. Quick Links. Part Number : C115 X10. Colour Is Black. Chrysler : 6506007 - 6501559. Original Part Number : G.M. : 10184895, Ford : N803862-S . Set Includes ;. - New Arrivals. - Add to Favorites. Quick Links. Colour Is Black. Set Includes ;. Part Number : C210x10. Original Part Number : 6q0868243. - Add to Favorites. Quick Links. Colour Is Black. Quick Links. Set Includes ;. Part Number : C167x10. Original Part Number : 8565.35. - Add to Favorites. New Arrivals. Colour Is Black. Set Includes ;. Part Number : C491x10. Original Part Number : 91512-Sx0-003. - Add to Favorites. Quick Links. New Arrivals. Colour Is Blue. Set Includes ;. Part Number : C538. Quick Links. Original Part Number : Audi / VW / Seat / Skoda : 823-867-299. Part Number : C523 X10. Colour Is Black. Set Includes ;. Quick Links. MWC9134, MWC3136. LAND ROVER LAND ROVERDISCOVERY 1 1989 - 1998 (FROM FA393361 TO WA799999) (5 DOOR STATION WAGON). FUEL INTERIOR DOOR CARD PANEL TRIM CLIP. LAND ROVER FREELANDER 1996 - 2006(5 DOOR STATION WAGON)((V)FROM2A000001,(V)TO3A999999). RENAULT – PEUGEOT - CITROEN. Our Part Number : C73 X10. White Colour. - Ending Soon. - New Arrivals. - Add to Favorites. Quick Links. Body Side Moulding Trim Clip. Colour Is White. Quick Links. Set Includes ;. 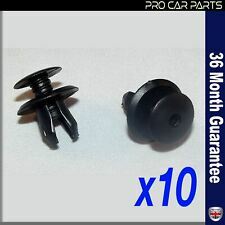 Part Number : C163x10. - Add to Favorites. Colour Is Gray. Set Includes ;. Part Number : C213x10. Original Part Number : 1h0868243 – 1h0868243b. - Add to Favorites. Quick Links. Colour Is Black. Quick Links. Set Includes ;. Part Number : C166x10. Original Part Number : 8565.34. - Add to Favorites. Our Part Number : C114 X10. Chrysler : 6500911. COLOUR IS BLACK. Original PartNumber : G.M. : 14063981, Ford : N803043-S . - Add to Favorites. Quick Links. New Arrivals. Colour Is Black. Set Includes ;. Part Number : C559x10. Original Part Number : 52161-20010. - Add to Favorites. Quick Links. New Arrivals. Original Part Number : Vw : 37883575, Peugeot : 6991. Colour Is Black – White. Quick Links. Set Includes ;. Part Number : C168x10. New Arrivals. Part Number : C147 X10. Colour Is White. Set Includes ;. Original Part Number : 1h0853585b. - Add to Favorites. Quick Links. New Arrivals. Ending Soon. - New Arrivals. - Add to Favorites. Quick Links. Colour Is Black. Set Includes ;. Part Number : C496x10. Original Part Number : A0099972281. - New Arrivals. - Add to Favorites. Quick Links. New Arrivals. Our PartNumber : C40X10. 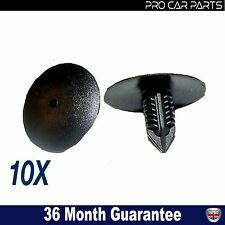 Original PartNumber : Opel : 149910, Ford : 9032112. COLOUR IS WHITE. - Ending Soon. - New Arrivals. - Add to Favorites. Quick Links. Clip Panelling To Rear Fender. - Add to Favorites. - Ending Soon. - New Arrivals. Quick Links. Renault Clio I. Renault Laguna. Renault Master. Renault Twingo. Renault Safrane. Renault R19-R21-R4. Wheel Arch, Bumper, Engine Under Tray, Fender, Body Panel Screw. Screw, 6,3x17 Mm. Colour Is White. Quick Links. Set Includes ;. Our Part Number : C60 3986. Original Part Number : 2e1867289c. New Arrivals. Colour Is White. Set Includes ;. Part Number : C92x10 7851. Original Part Number : 90467-A0005. - Add to Favorites. Quick Links. New Arrivals. Part Number : C165 X10. Colour Is White. Quick Links. Set Includes ;. Original Part Number : 01470769. - Add to Favorites. Part Number : C146 X10. Colour Is White. Set Includes ;. Original Part Number : 0019887681. - Ending Soon. - New Arrivals. - Add to Favorites. Quick Links. Colour Is Dark Beige. Set Includes ;. Part Number : C216x10. Original Part Number : S-1503. - Ending Soon. - New Arrivals. - Add to Favorites. Quick Links. Colour Is Light Beige. Set Includes ;. Part Number : C215x10. Original Part Number : S-15257. - Ending Soon. - New Arrivals. - Add to Favorites. Quick Links. Our Part Number : C65x5 4667. - Ending Soon. - New Arrivals. - Add to Favorites. Quick Links. CITROEN BERLINGO – SAXO – XSARA – XSARA PICASSO - C2 - C5 - C6. CITROEN BERLINGO – SAXO- XSARA- XSARA PICASSO. PEUGEOT PARTNER - 306 - 406- 407 – 607. PEUGEOT PARTNER -407-607. Colour is white. BEFORE TO BUY. Part Number : C154 X10. Colour Is White. Quick Links. Set Includes ;. Original Part Number : 8565.40. New Arrivals. Part Number : C170 X10. Colour Is Yellow. Quick Links. Set Includes ;. Original Part Number : 87703-H1000. - Add to Favorites.